Recent genomic revolution opened new avenues to understanding human disease. However, it also revealed complex nature of human disease. For example, currently, more than several hundred genes are believed to be associated with human cancer. Genome-wide association study (GWAS) suggests hundreds of disease-related genes, but together explaining only 10-20% of total disease inheritance at most. Because of this overwhelming complexity of disease-causing pathway, modern disease genetics needs to be more systematic and predictive. However, the network organization of disease systems also provide big opportunity to investigate the genetic organization of complex diseases through the molecular networks. 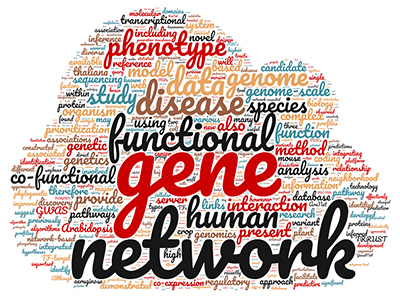 Our research group has developed co-functional gene networks for many organisms including human (HumanNet) and various network-guided methods to identify novel disease genes and modules. This page was last modified on 26 February 2018, at 17:56.